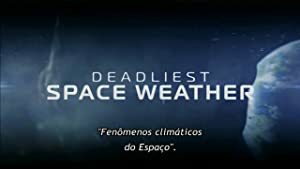 Deadliest Space Weather – Season 1 (2013) – What's New on Netflix Canada Today! Explore the solar system’s wildest weather phenomena, from blistering acid rain on Venus to massive dust storms on Mars. Venus, Biggest Storm in the Solar System, Meteors, Mars, Fastest Winds in the Solar System, Ice Moons. Exploring atmospheric conditions on other planets.